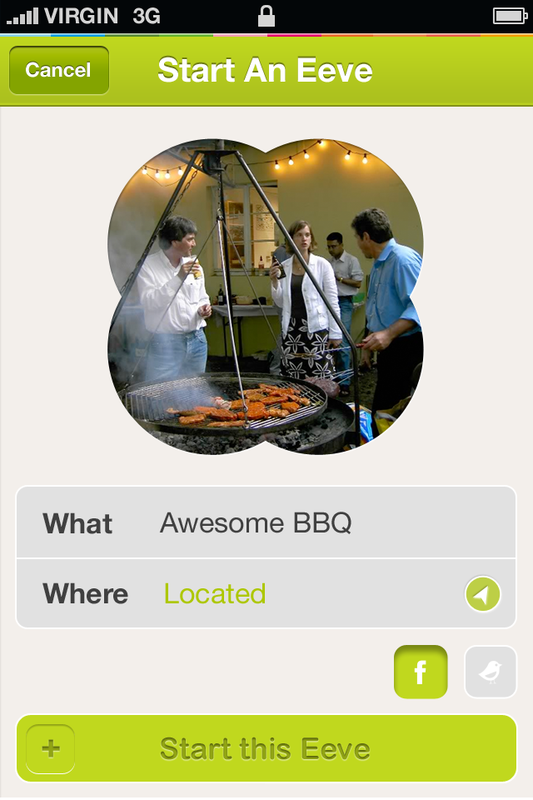 What do you get if you throw mobile, social, photo-sharing and location together into a big melting pot? You get Eeve. The London-based startup has combined the biggest buzzwords from the tech startup industry to develop what could prove to be a very popular social networking app. But relax, we’re not talking about a startup that’s claiming to be after Facebook’s crown, or even attempting to dig a sharp elbow into Foursquare’s ribs for that matter. The people behind Eeve hope to find its own little niche in the social sphere. You may remember a startup called Color which was launched earlier this year, securing $41m funding in the process. Well, not many people used it and it was forced into an early pivot, and it’s now focusing on creating temporary social networks using Facebook data. Or something like that. And last week, we wrote about a whole bunch of beautiful apps emanating from Berlin, one of which was EyeEm, a photo-sharing app that combines Instagram, Color and Photovine and creates a new way of sharing photos that automatically adds context based on who you’re with, where you are and what you’re photographing. Now, meet Eeve. 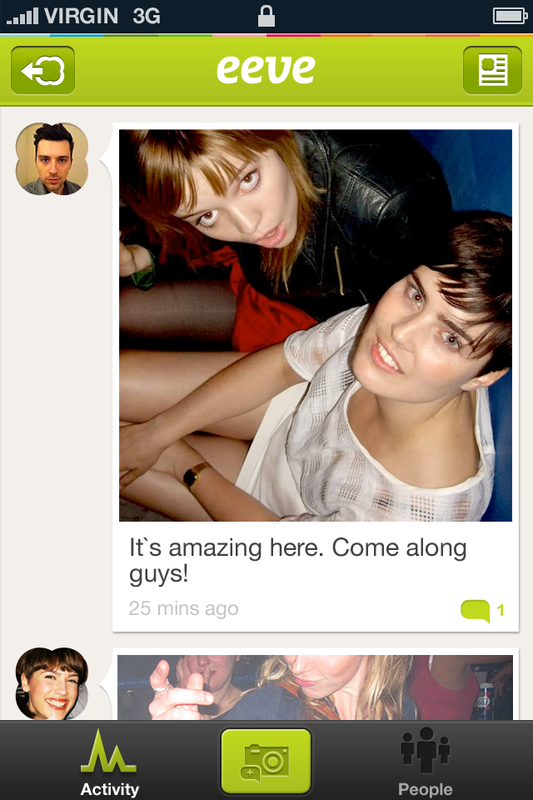 In its simplest form, Eeve lets users take photos from their mobile and collaboratively tell a story with others in close proximity – these collaborations are what are known as ‘Eeves’. Whether you’re at a conference, a party, a concert or simply hanging out with friends in the park, users can start their own ‘Eeve’ or join an existing one. Eeves are open to anyone – you, your friends and complete strangers in the area, allowing different perspectives to be captured and recorded for posterity. It’s also worth noting that Eeves are temporary. 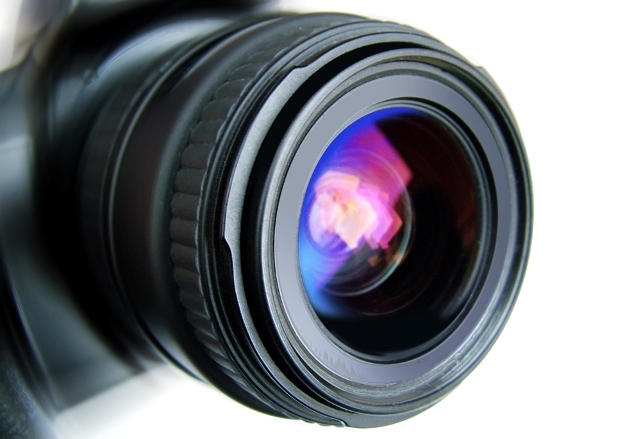 If a specific Eeve has no activity after a few hours, it will automatically cease accepting further photographic contributions, though there are no time-limits in place for adding comments. So this means you can revisit an Eeve from months or years ago, and reminisce about a particular event through adding comments. But the duration of an Eeve isn’t set in stone, and it will stay open as long as people keep posting. So in theory, it could go on forever, but in reality people go to bed so it will likely end at some point. It could potentially be used for entire weekends, for example at a music festival such as Glastonbury, where hundreds of revelers could participate. Whilst location and proximity are integral facets of the app, it’s not exclusively for those in the same area. Anyone from anywhere in the world can ‘Eevesdrop’ (excuse the deliberately mis-spelt pun) on any Eeve and comment. But to contribute to the photographic narrative, you must be within 500 metres. To start an Eeve, you simply take a photo, add a title that describes what the Eeve is, and you’re good to go. 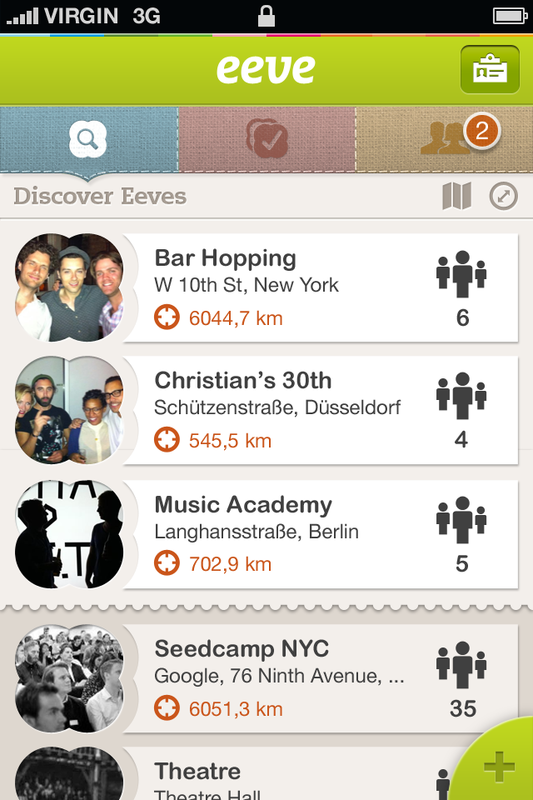 You can discover who else is nearby, and invite them to join the Eeve. You can also follow your friends and even friends of friends, and discover what everyone is doing together. Firstly, you’ll need to download the app, which is only available on iOS for now. 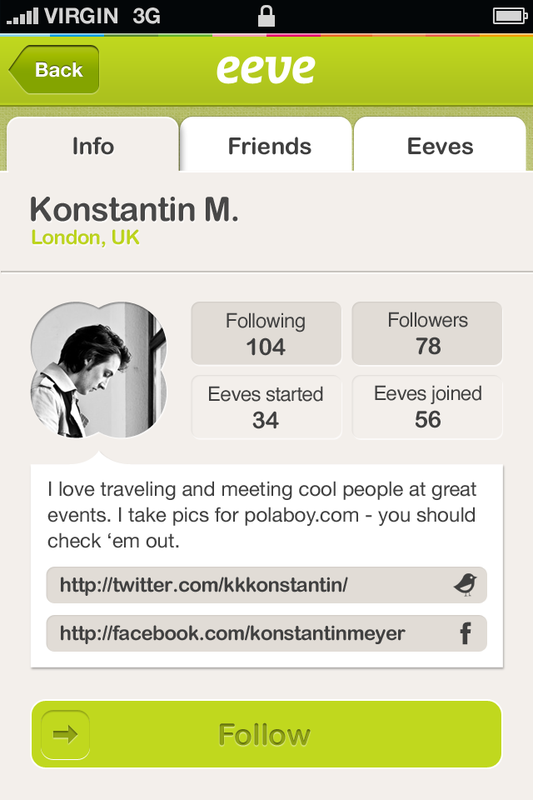 Eeve has been in private beta since June, and it’s launching to the public today on an invite only basis at first. The Next Web has 50 invites to give away, and it’s first come, first served. Each new user in turn has 5 invites to send to friends. Click here to receive one. Another way to gain access just now, is simply to be located in the proximity of an Eeve that is currently running – the app will allow users to sign-up for as long as the Eeve is active. Read next: Flash eating up your Mac’s CPU? Here are 3 ways to bring it under control.